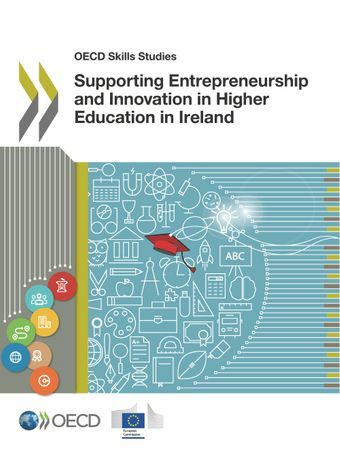 On 23 October 2017, the OECD-EC report on Supporting Entrepreneurship and Innovation in Higher Education in Ireland was launched in Dublin in presence of Mary Mitchell O’Connor, Irish Minister of State for Higher Education, Mari Kiviniemi, OECD's Deputy Secretary-General and Antoaneta Angelova-Krasteva, Director for Innovation, International Cooperation and Sport Directorate-General for Education an Culture of the European Commission. Enhance collaboration between policy structures and state agencies. Broaden the scope for multi- and transdisciplinary research initiatives in research priorities. Review current employment control restrictions in higher education to allow for enhanced. Continue targeted state investment in internationalisation initiatives. Support HEIs in creating collaborative and mentor links with innovative and entrepreneurial HEIs abroad. Introduce a system-wide exercise to document and assess the impact of entrepreneurship and innovation. Expand entrepreneurship education across all disciplines. Increase the number of places available on venture creation programmes, particularly for students and alumni. Incentivise and support staff engagement in knowledge exchange activities. Enhance collaboration with small and medium-sized enterprises through a single “front door” approach.